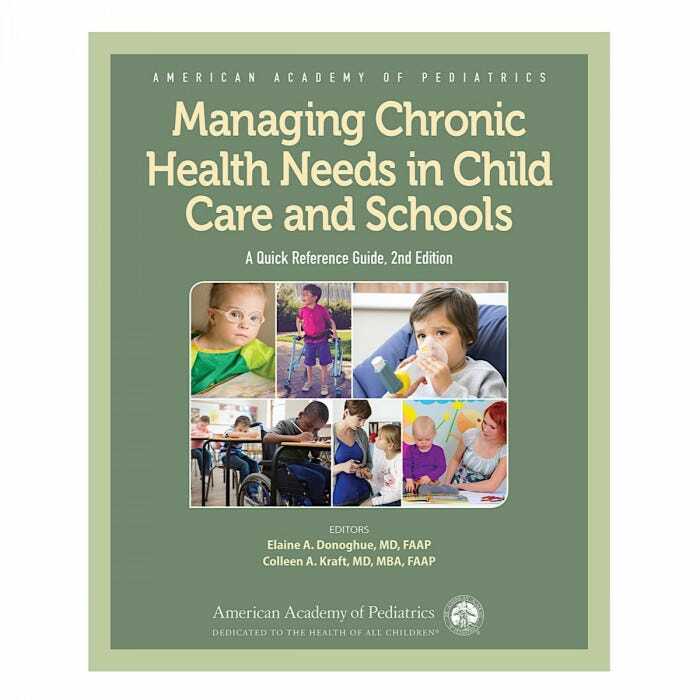 Managing Chronic Health Needs in Child Care and Schools: A Quick Reference Guide, 2nd Edition helps teachers and caregivers address the challenges of caring for children with chronic health conditions and special health care needs in child care and school settings. The health issues covered include chronic illnesses, acute situations, and selected developmental and behavioral problems, with a special emphasis on children with special health care needs. More than 50 quick reference sheets on specific conditions provide teachers and caregivers with guidance on how to help at a glance. New quick reference sheets include Childhood Obesity, Eczema, Fetal Alcohol Spectrum Disorder, Food Allergies, GERD, and more.